Our education programs amplify our skills, grow us as artists, and cultivate our community of creative citizens. 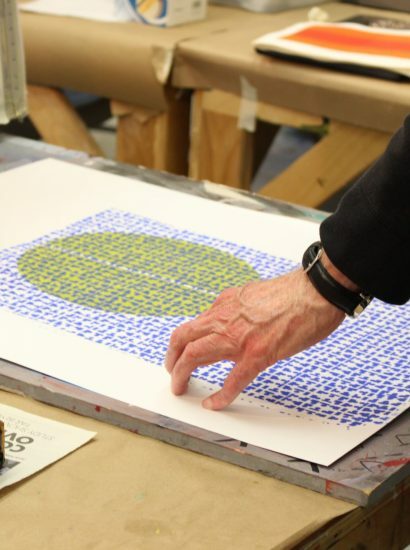 The Art Center offers on-site programs that take our skills to the next level. Meet other working and growing artists, try new mediums with teaching artists and visiting arts professionals. Enjoy our vibrant community filled with artists at every age and stage making meaningful art. Try something new or deepen your knowledge with a class or workshop in ceramics, painting and drawing, textiles, mosaics, digital and darkroom photography, and creative development. Courses take place in the Oakman Clinton Schools and Studios which accommodate groups and individual studio practices. The Oakman Clinton School and Studios at Hyde Park Art Center are comprised of a ceramics studio, printmaking studio, digital media lab, darkroom, and several mixed media studios. With more than 200 courses across the visual arts, our seven studios serve nearly 2,000 students annually. The Art Center’s classes are taught by professional artists, providing a contemporary learning environment that encourages individual and creative growth. Our Teaching Artists love sharing the practices and methods used in their professional work, guiding students through the process of discovery, and amplifying their skills along the way. How do I sign up for a class at Hyde Park Art Center? We accept registrations online, in person and over the phone. You can also visit us at the front desk during our business hours or give us a call at 773.324.5520 to register for a class. Do you offer financial aid for classes? Full Tuition Awards: HPAC offers 3 full tuition awards each term (does not apply to Creativity Camps). Half-tuition awards: A limited number of half-tuition awards will be available each term, including Creativity Camps. To apply, complete the form below in full. Alternatively, forms can be returned to Eileen Truong, Finance & Operations Manager, at the front desk or by e-mail at etruong@hydeparkart.org. Applications must be received by the early registration deadline to be considered for a full-tuition award. Each student requesting aid must submit a separate form. Financial aid recipients must reapply each session for continued assistance and must complete the entire 10-week session to be eligible for future awards. For more information about art courses, financial aid, and registration discounts please contact our Finance & Operations Manager, Eileen Truong at etruong@hydeparkart.org or 773-324-5520 x1016. Do I need to bring my own art supplies, or are they included in the cost? For adults, all basic supplies are included for the introductory-level classes. Teaching artists may give out additional recommended supply lists for special projects, and for intermediate and advanced classes. Can I Use The Studios If I'm Not Enrolled In A Class? Unfortunately not. Studio and equipment usage is reserved for class-takers only. Can I Donate My Old Art Supplies And Equipment? Thank you for thinking of us! While we appreciate your generosity, we have very limited space for donations. Please contact Allison Cochrane, our Studio Programs Coordinator, at acochrane@hydeparkart.org to find out whether we are able to accept what you’ve got.